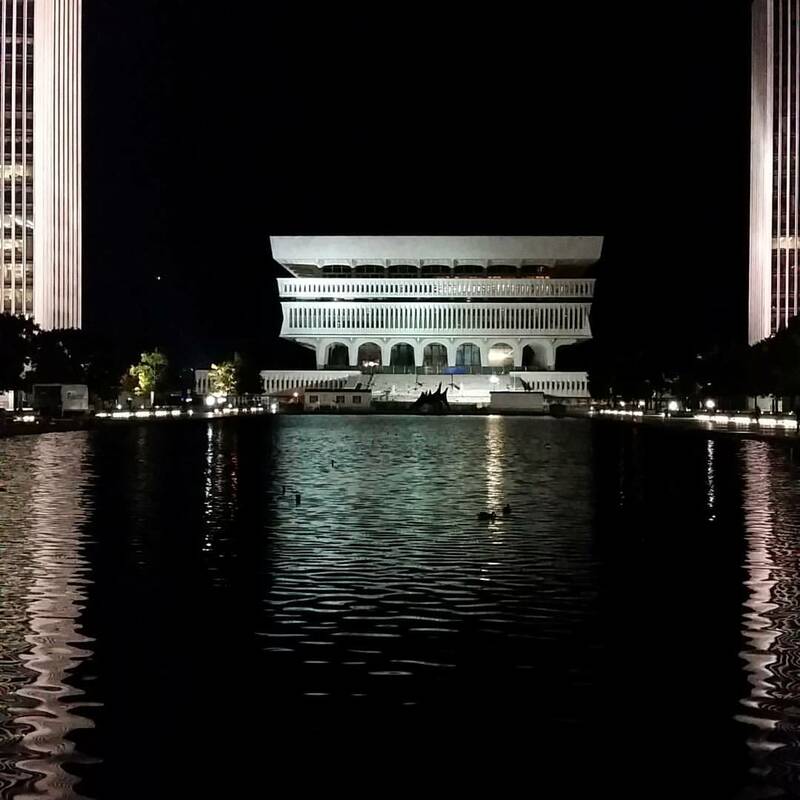 When plans for the Empire State Plaza were unveiled in April 1963—more than a year after the State of New York appropriated Albany’s 98 acres—one of its most dramatic features was a 336-foot-high arch. The Arch of Freedom was designed to anchor the Plaza’s south end and to connect two low-lying structures for the State Library and State Museum. At the base of the arch, there was to be a 1,500-seat amphitheater and a “shrine” containing a preliminary draft of Abraham Lincoln’s Emancipation Proclamation. Two years later—at the South Mall cornerstone ceremony—the public learned that the arch, shrine, and amphitheater were no longer part of the plan. In their place was a larger single structure, the Cultural Education Center (CEC), which now houses the library and the museum, along with the State Archives. In addition to cost, lead architect Wallace K. Harrison blamed curators and librarians for its loss. Curators demanded more exhibit space. Librarians wanted more storage. Furthermore, the original design did not include a place for buses to load and unload school groups, which visited daily. The CEC at night, September 2015. Courtesy Albert Gnidica. I remember hearing of this “arch” from my parents. My mom and her mother were particularly disgusted at the destruction of the neighborhood if I think mom was secretly delighted with the museum component. Dad said the arch idea was utterly impractical. I never understood his reasoning but if dad said it was impractical it probably was! I AM amused at the finger pointing–It’;s your fault!” “No, it’;s YOUR fault! !” “No, dammit, it’s YOUR fault!! !” etc., etc. The more things change…. I wonder if anything like this would’ve been constructed today given today’s 24/7 media, Facebook, Twitter, etc. I AM glad the NY State Library as well as Albany Public etc., are keeping up with the times. No one 53 years ago, could have imagined today’s technology if I believe–hope–books themselves will NEVER go out of fashion. That IS a perfect “marriage,” you know–Library, Archives and Museum in one bldg! I don’t know why, because I’ve never been to Albany and may never get to go, but I love reading this history you share. It’s Interesting that the arch was scrapped the same year the St. Louis Gateway arch was built, if I remember correctly. Perhaps that played into the decision too? Pretty cool, too, that the architects kept the arch theme when building the library. From what I understand, construction on the Gateway Arch began (after a long wait) at around the time the Empire State Plaza design was presented to the public. And–as you point out–construction was completed at around the same time Albany’s arch was scrapped. Wallace Harrison, by the way, was quick to distinguish between his proposed arch and Eero Saarinen’s in St. Louis. First I must say that I thoroughly enjoy reading your sojourns into the history of Albany. It has been a very long time since I visited there. I’m fairly certain many architects have been thwarted in their design plans by curators and librarians. Having worked at an art gallery/museum, I found myself chuckling at the finger pointing over the design changes. More exhibition space (or money for exhibitions) is the battle cry of curators. Librarians tend to be a bit quieter whilst gently pointing out that their collection will suffer. What I found particularly interesting is that the building design appealing to curators and librarians is appallingly consistent. Here, 50+ years later is the “new design” for the Vancouver Art Gallery in BC, Canada. You might notice that is is remarkably 1960’s Retro. Yikes. Like the CEC with a hat on top!